What’s the Opposite of a Caesar Salad? What: Anything from this fusion eatery's "Munchies" menu could qualify as a hangover cure, but the Brutus…er…"salad" trumps them all. (Brutus as in, not Caesar." 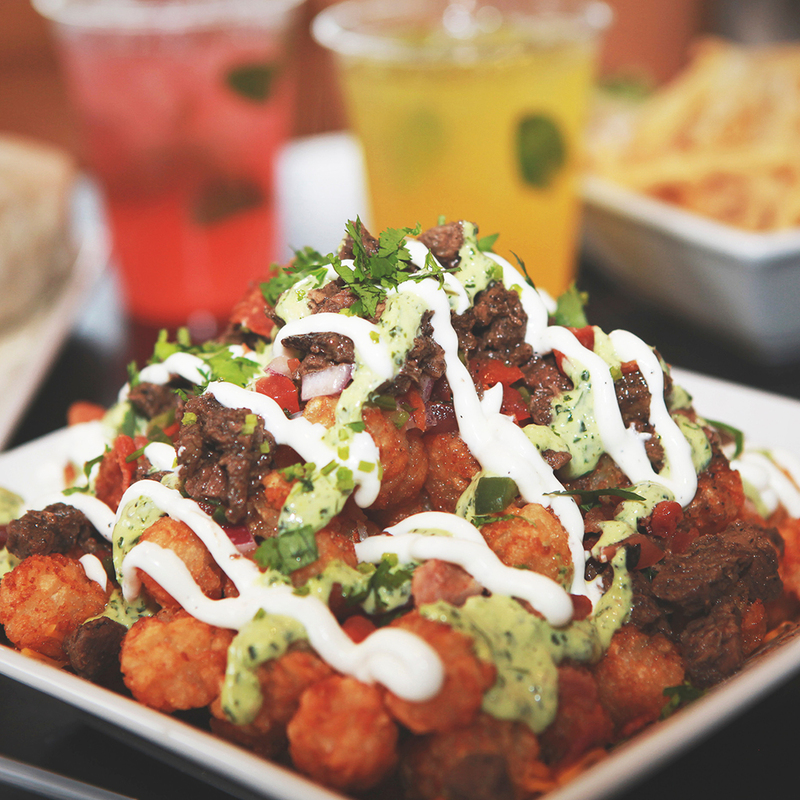 Let's dissect this thing: crispy tater tots smothered in melted cheddar, steak, and bacon with sour cream, pico, and a jalapeño aioli to finish it off. Can this really be called a salad? Well, there's chopped cilantro on top, and that's green, right? Wash it down with: A salty, meaty pile o' deliciousness like this calls for only one thing: a beer. Go for Anchor's classic lager.